Make sure and go to my web blog at http://mmegowan.activerain.com . Also check out my website at http://www.maureenmegowan.com which has extensive information on buying or selling a home on the Palos Verdes Peninsula or the South Bay beach communities. I am among the top producing agents in Remax Palos Verdes Realty, and a member of the Remax Platinum club. I really listen to my clients and strive to get to know them and their families; to learn what their goals are and what is most important to them. I work hard to be the Best Palos Verdes Peninsula and Best South Bay Realtor possible! I work as both a Seller's Listing Agent as well as a Buyer's Real Estate Agent. Working for both Sellers as well as Buyers makes for a better informed agent. I have five specialist certifications; Certified Luxury Home Marketing Specialist, Certified Palos Verdes Specialist , Seniors Real Estate Specialist, Certified Distressed Property Expert, and e-pro certification as an internet specialist. The Certified Luxury Home Marketing Specialist (CLHMS) designation assures affluent buyers and sellers that the agents who have earned it have the knowledge, experience, competence, and confidence they require and have successfully demonstrated their expertise in the luxury home and estate market. I am also a member of the CLHMS Million Dollar Guild. Certified Luxury Home Marketing Specialists whose documented performance includes multiple sales of properties in the top 10% of sales prices in their market areas are recognized as members of the prestigious Million Dollar Guild.The Certified Palos Verdes Specialist designation assures you that I have the specialized knowledge of the Palos Verdes Peninsula to ensure that you purchase the perfect home. The Seniors Real Etate Specialist designation indicates that I have extensive knowledge of the specialized needs of our Senior Citizens in helping them meet their financial goals. The Certified Distressed Property Expert designation demonstrates that I have the specialized knowledge to advise homeowners on how best to deal with home loan delinquency issues, foreclosures, and short sales. The e-pro certification issued by the National Association of Realtors is specifically desinged to provide real estate professionals with the technology tools needed to assist consumers in the purchase or sale of a home. I also have a bachelors degree from California State University - Chico, as well as an advanced degree in fashion design from the Fashion Institute of Design & Merchandising. My eye for design is especially useful in helping a seller stage their home for maximum sales appeal. I have lived in Palos Verdes Estates for over 25 years, and have raised 3 boys here, and have been actively involved in community organizations. My clients know that no one would work harder for them in either helping them locate their perfect home, or in helping them sell their home. I am totally dedicated to providing the best service available, and a lot of that comes from good communication. I treat my clients as I do my friends, and many of them have become good friends. My website http://www.maureenmegowan.com has been designed to provide someone new to our area all of the information that they would need to make an informed decision about buying a home in our wondeerful community. That is why I work with many relocation clients. "Our experience with Maureen was more than just exceptional"
"Maureen did a fantastic job marketing our property"
"Maureen is really an exceptional agent. She gives 110% for her clients. She is dedicated, honest, patient, smart, and makes her clients feel like family. Even your mother wouldn't give you this much attention if she was your real estate agent . No one will ever give you the service that Maureen will"
"I highly recommend Maureen to anyone searching for real estate, especially if you are new to the area. . . She is an excellent Realtor and has become a great friend!" Why do People Move to the Palos Verdes Peninsula ? 1. Quality of Local School System :The Palos Verdes Unified School System is one of the best in the State, and our schools consistently rank among the top in standardized test scores. These can be verified at the following link on my seb site : Palos Verdes Peninsula School Information. People recognize the value of having strong local public schools and the cost savings that can be achieved when they don't have to send their kids to private schools. 2. Rural Atmosphere : The foresight of the city planners of the 4 cities on the Palos Verdes Peninsula to insure the preservation of open space has made the Palos Verdes Peninsula an island of tranquility in the urban jungle that is Los Angeles County. In additon, the maintenance of equestrian oiented trails and rights of way have preserved this rural way of life for all of us. 3. Larger Lot Sizes and Set back Requirements: Compared to most of the local beach communities, our city governments on the hill have maintained building standards to limit the "mansionation" of homes here. Most of our cities have limitations on the size of the foundation of a home as well as strict neighborhood compatability regulations to make sure that new homes do not sit on top of each other and give all of us breathing room. 4. Our Beautiful Views and Proximity to the Ocean: We are so fortunate to enjoy the spectacular views along our coastline, as well as the magnificent city views that we also have. People who are looking to relocate here are absolutely blown away by the beauty and spectacular views that many of the homes here have. Even if you do not have a view from your home, we all enjoy the spectacular setting that we live in just when we are driving around the Peninsula. I have lived here for 24 years, and have never taken the beauty of this area for granted. 5. The Weather: Because of the moderating influence of the ocean, our weather varies very little from month to month compared to most areas of the Los Angeles basin. The cool ocean breezes cool us during the summer, and the ocean also tends to moderate cold temperatures in the winter. I live in Lunada Bay and I don't think that our high tempertures vary by more than about 10 degrees for most of the year. Most of the older homes on the Peninsula that are near the ocean do not even have air conditioning. 6. Our Sense of Community: My husband and I have raised 3 boys in the Lunada Bay area of Palos Verdes Estates, and we have made so many friends over the years through other parents participation with their children in their school programs and sports programs. Our boys played for many years in the baseball leagues, basketball leagues, and soccer programs on the Hill, and we have found most of the people that we have met to be friendly and non-pretentious. We have had some relocation clients comment to us that in the well off areas that they are moving from that people tend to treat their homes as status symbols, but I believe that most of the residents on the Hill see their houses as truly their homes. Please call me at 310-259-7124 if you would like help in finding the perfect home on the Palos Verdes Peninsula or in one of the other beautiful South Bay beach communities. PalosVerdes Estates is one of the most beautiful cities in the world to live. The Palos Verdes Peninsula is also one of the wealthiest communities in the country, as described in the Los Angeles Business Journal. Palos Verdes Estates has an extremely interesting history and it is one of the best examples of city planning and controlled growth of any small to medium sized city in the United States. Palos Verdes has only a limited number of entrances to the city, and many of the streets end at the city limits.Over 25% of the city's 4.75 square miles is zoned as permanent park land and is maintained in its natural state. Much of this parkland is scattered throughout the city and provide natural areas between different clusters of homes. Although there are some areas of the city with horse trails, none of the homes are zoned to maintain horses, and horses must be stabled at the Palos Verdes Stables or other privately owned stables in the area. For detailed information on the other cities on the Palos Verdes Peninsula and the South Bay beach communities, click on South Bay Information. I have four specialist certifications; Certified Palos Verdes Specialist , Seniors Real Estate Specialist, Certified Distressed Property Expert, and e-pro certification as an internet specialist. The Certified Palos Verdes Specialist designation assures you that I have the specialized knowledge of the Palos Verdes Peninsula to ensure that yo purchase the perfect home. The Seniors Real Etate Specialist designation indicates that I have extensive knowledge of the specialized needs of our Senior Citizens in helping them meet their financial goals. We located Maureen through the internet before we moved to California and found the website, her emails, phone calls, and listings so helpful. She helped our transition moving across country and eased my fears about finding the perfect house as quickly as possible. From the first day we met, Maureen was so hospitable and really went the extra mile to show us every property and community possible in our price range. What really stands out about Maureen is how she really took us under her wing, paid so much attention to us, really made us feel comfortable and like we had a great friend in a state so far away from our friends and family. Throughout the whole process, Maureen was diligent, thorough, and really helped us through the process of finding the right home - through all of the ups and downs. Overall, she made the transition so easy and helped us settle into the perfect home. Maureen was always there to answer our questions, push for more repairs and ensure that everything was done right and running smoothly. She has kept in contact with us since we have moved in and has been wonderful with checking in, referring stores and contractors to help us create the perfect home. I highly recommend Maureen to anyone searching for real estate, especially if you are new to the area and really want someone who knows what is out there. She is an excellent Realtor and has become a great friend. Maureen is an excellent realtor. We discussed our situation with her and gave her the parameters of what we were trying to accomplish with the purchase of a new home and she truly "did the rest" in a very professional manner. Her ability to understand and process our needs with respect to the current reality of the local real estate market in the area we had defined, lead us to relevent properties quickly. She knows all aspects of the real estate business, whether it be a short sale, forclosure, rental, renter, etc. and gave invaluable information on how to deal with each situation. Maureen's follow-up after you enter escrow is second to none. She guided us through the entire process and interfaced with the escrow company on our behalf, as well, when needed. She also guided us through the appraisal and inspection process, and put us in touch with local service companies as required. Her after-sale documentation to her clients is also outstanding. She truly is a "full service" real estate agent. Its funny how great things can happen by accident. I really got to know Maureen when she was representing the buyer for the property next door to my home, and we started to chat when she was at the property. Maureen is really an exceptional agent. I have never met anyone like her. She gives 110% to all her clients. She is dedicated, honest, patient, smart, and makes her clients feel like family. I'm telling you, even your own mother would not give you this much attention if she was your real estate agent, and although that sounds like a joke, it isn't! No one will ever give you the service Maureen will. Maureen did a fabulous job by representing my husband and I in buying our first investment property in Rolling Hills Estates. I don't think we would have ended up with property if Maureen had not been so together and quick to act. During the transaction she helped us figure out financing, helped us to establish a fair rental value, and maintained her poise and cool when it got a little scary at the end. We got a great tenant within a couple of weeks after closing and we could not be happier or more satisfied with our purchase. I have highly recommended Maureen to my friends, family, and even acquaintances, and I love the highly profuse thanks I get when they meet her and realize what a wonderful agent and person she is. Maureen definitely has all my business for life! Maureen did an excellent job of selling my home. A neighbor of mine had recommended Maureen to me after my property had been on the market for several months with absolutely no offers at all. I had become extremely frustrated by the fact of attention that my prior real estate agent was giving my listing, and I contacted Maureen to see if she could help. Once I had given the listing to her, Maureen jumped in with both feet, preparing excellent marketing materials such as flyers and advertisements in the local newspapers. She also immediately scheduled both broker and public open houses, and within a short period of time had attracted significant interest from a number of agents until we received a satisfactory offer after a relatively short period of time, especially considering how long our other agent had been marketing our home. During this entire time, Maureen was extremely responsive to me and I was impressed by her dedication to get my home sold so that my husband and I could move to Florida. During the escrow period, Maureen continued to keep me informed as to the progress of the closing, and worked diligently to get the deal closed. Maureen was a godsend! I highly recommend Maureen for anyone considering selling their home!! Getting a good price for a family home is not always easy, but we did. With Maureen's help and hard work, we were able to get our home of more than 35 years prepped for sale and looking its best within an amazingly short time. She's not kidding when she says sit back and enjoy letting her do the work... and that was really important to us because of our being out of the area. Her advertising reached all the right parties and we had well-attended open house events from the start. The house was in escrow in 36 days and we had back-up offers in the wings. Maureen facilitated and communicated so that we knew exactly where we were throughout the whole process, step-by-step. But perhaps the single most valuable thing about dealing with Maureen is her personal integrity. Especially for us, being in town only occasionally, Maureen's honesty gave us peace of mind. Maureen got the job done -- and in record time! Maureen Megowan handled the sale of our property and we could not be happier. We followed her advice and did some painting, staged the property, and agreed on an attractive sell price to move the property. Maureen created attractive brochures, put pictures and a description of the property on her website and advertised the open house in local papers. She held a brokers open house and a Saturday & Sunday public open house and received several offers. Throughout the process, Maureen kept in contact with us and let us know what was happening at every step along the way. Once an offer was accepted, she was efficient at managing all the paperwork and was very diligent about making sure everything was done properly. The thirty day escrow went by swiftly and without problems thanks to the efficiency of everyone involved. Even though selling property and, in this case settling an estate, is a stressful event, Maureen handled everything to minimize our stress and had everything resolved quicker than we ever imagined possible. A huge thank you to Maureen Megowan. I contacted Maureen Megowan to list my parents' home in Rolling Hills Estates. I personally live out of state and my parents are elderly, so the idea of selling a home in a declining real estate market was overwhelming to them. Maureen immediately took control of the situation. Her first step was to evaluate the home and come up with an aggressive marketing plan which involved a thorough decluttering of the house, repair, renovation and staging. Maureen works with a team of professionals who assisted her in totally transforming my parents' home in a relatively short time at reasonable costs. This was a huge help to us, as we were able to leave everything in her hands. In fact, my parents were able to leave their home and stay with me in Texas while Maureen arranged everything. One example of her attention to detail is the numerous trips she made to Lowes to pick out a perfect dining room light fixture. Maureen went to Lowes at least three separate times just to get the right item. This is one of the many items that Maureen personally selected and installed for my parents to make their house look updated and fresh. Not only did she coordinate all the various tradespeople involved, she worked side by side with the stager (and even brought some of own personal furniture) to make the house look and feel absolutely perfect. I cannot imagine any other real estate professional would offer this level of service. I know for a fact that the other agents I interviewed do not. Maureen's marketing includes professional photography, an online virtual tour and exposure in various forms of print and online media. 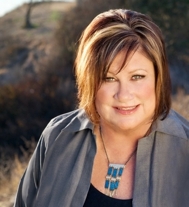 In my opinion, her website presence is unparalleled among realtors in the South Bay. As an out of state client myself, I know how important the internet is in marketing properties. When you type Palos Verdes real estate in any online search engine, Maureen's name is top of the list. Because her website is so informative, I'm sure that many potential buyers don't venture elsewhere. In the case of my parents house, Maureen's proactive approach to marketing paid off immediately, and we received four offers on our house in the first week! Maureen has been a great advocate every step of the way, and I cannot recommend a more hard-working and professional realtor to sell your home. I never understood how complex the job of being a realtor could be until I worked with Maureen Megowan. She worked tirelessly to assist me before, during and after the sale of my home and the purchase of my new home. It took a month to prepare my home to be put on the market. She orchestrated the remodeling and staging of my home so that it showed like a jewel. Closing the sale required a delicate dance. She was the force which made it all happen. The purchase of my new home required creative financing. She helped to guide me along that path. I cannot thank Maureen enough for the endless hours she spent helping me and my family. I highly refer Maureen Megowan and would absolutely use her again.